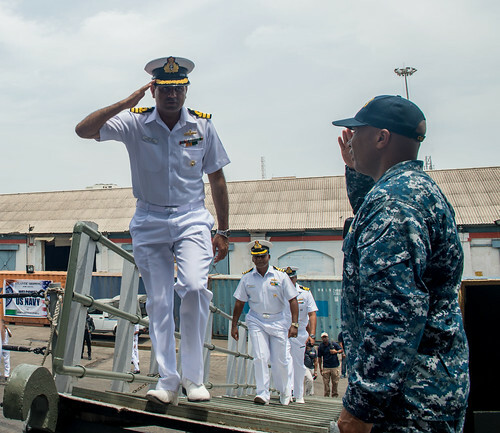 BAY OF BENGAL - Sailors and Marines assigned to the Nimitz Carrier Strike Group, the Indian Navy and the Japan Maritime Self-Defense Force (JMSDF) commenced the Malabar in-port portions in Chennai, India, July 9. The trilateral, two-phase exercise is held in Chennai and in the waters of the Bay of Bengal. 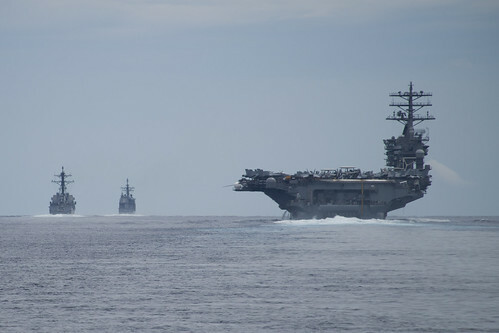 The exercise emphasizes high-end warfighting skills, maritime superiority and power projection. Crews will practice surface and antisubmarine warfare maneuvers, perform medical exchanges, hold explosive ordnance disposal training, and conduct visit, board, search and seizure operations. It also provides the opportunity for the participating nations to build upon their common values and shared seafaring tradition while fostering security and stability in the region through common national goals.